Fifteen Group is a limited company offering business transformation solutions through Technology, Software Development and Telecommunications. The company which was incorporated on 15th February 2006, was brought together after the brothers Mark and Rob Adams set up an IT company in Stoke-on-Trent named Anet and John Borthwick had a company called 15 Digital Marketing. John met Rob through business with a mutual client and it was decided that the digital marketing and IT skills the three men had would complement each other. They decided to merge the two companies, creating Fifteen Digital Ltd with the Stoke based company offering marketing solutions (Fifteen Marketing) and technology solutions (Fifteen Technology). After initially offering clients technology and digital marketing services, the company grew and moved into web development. In 2007, James Tierney came on board and became a Director of the business also. 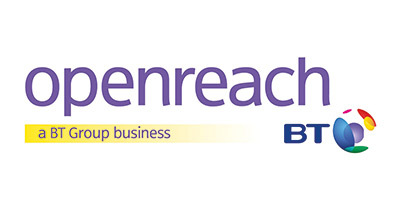 The company then took the decision to introduce a second office, based in the North East of England and in September 2010, Fifteen Digital Ltd opened an office at Lingfield Point, in Darlington with the plan to replicate the company’s success in the West Midlands. In April 2014 the company bought B2B Telecoms Business, Sitelink Communications and Ian Walker joined as a Director of Fifteen Communications, which provided communications solutions. In 2016, a Management Buy Out took place with a renewed focus on technology solutions, encompassing Telecommunications, IT solutions and Software Development. Under the guidance of Directors Rob Adams, Mark Adams and Ian Walker, the company targeted growth in a number of sectors. 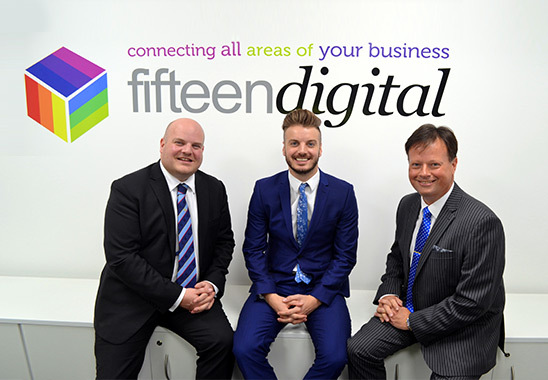 The Fifteen Digital brand now encompasses all the sub-brands providing Telecommunications, Software Development and IT Solutions under the guidance of Fifteen Digital Directors Rob Adams, Mark Adams and Ian Walker. The company, located solely in Stoke on Trent, Staffordshire has a growing team and the business is moving into a variety of sectors across the UK. In October 2017, to further develop the company as a technology solutions provider, the company changed its name to Fifteen Group Limited. Pegasus Fire and Security Limited becomes part of Fifteen Group. In October 2018, Pegasus Fire and Security Limited is welcomed to Fifteen Group, further enhancing our ability to innovate and extend our range of services through the convergence of technologies into fire and security.